ASIAFRUIT is Asia's leading supplier of news, information for the international fresh fruit and vegetable business. In print, on screen, and in person. ASIAFRUIT is the reference point of choice for business leaders working in Asia’s fresh fruit and vegetable supply chain. They are the decision makers who operate from the supermarket shelf to the farm gate. They want quality news and information to give them the best competitive edge. They use ASIAFRUIT as a platform to present their products and services to key buyers in the business. ASIAFRUIT is available in print, online, and in person. ASIAFRUIT is published 10 times every year. The magazine provides the best industry analysis as well as in-depth company, product and country profiles. The print edition is also available as an ePaper for you to read on your computer screen. ASIAFRUIT is also available for the iPad via the AppStore. 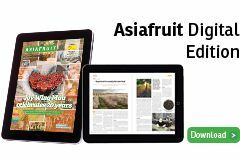 ASIAFRUIT’s quality news and information is available online 24/7. The latest new stories from the magazine’s team of journalists and international correspondents are posted online at Fruitnet.com. You can read them on your desktop computer and your mobile phone. ASIAFRUIT also organises fresh produce business conference events all over the world. 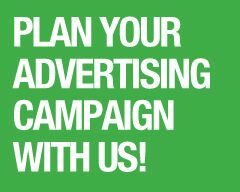 It’s the best way for you to explore new business opportunities and make new business contacts. Its annual conference events now include ASIAFRUIT CONGRESS in Hong Kong, ASIAFRUIT MARKET INSIGHT in China, FRESH PRODUCE INDIA in India, as well as its partner events such as Global Berry Congress, Eurofruit Congress Southern Hemisphere, and Eurofruit Congress Middle East. ASIAFRUIT is present at the world’s leading trade shows. It exhibits every year at ASIA FRUIT LOGISTICA in Hong Kong every September and at FRUIT LOGISTICA in Berlin every February. It is also present at World Food Moscow, PMA in the US, as well as Macfrut (Italy), and other regional trade shows. ASIAFRUIT is part of the Fruitnet Media International Group. It is the sister magazine of Eurofruit (for fresh buyers in Europe, first published in 1973), Fresh Produce Journal (the magazine for the UK fresh produce market, first published in 1895), Americafruit (the news service for North America since 2000) and Produce Plus Magazine (for Australia and New Zealand since 2012). It is also a partner of Fruchthandel Magazine, Germany's number one fresh fruit and vegetable trade magazine. ASIAFRUIT NEWS is the leading fresh fruit and vegetable news service for China and the whole of Asia. Powered by ASIAFRUIT, ASIAFRUIT NEWS brings you the most important news and stories from across the local and international fresh fruit and vegetable business, twice a week, in Mandarin. As well as covering the key market developments in China, ASIAFRUIT NEWS’ high-quality coverage features a selection of stories from our global network of reporters to keep you informed of the international news most important to your business.